My friend and guest, Julie Nafziger, gave me this recipe a good while ago. Made it for a pot luck. When I took it out of the tube pan, my mom said it looked pretty uninteresting. 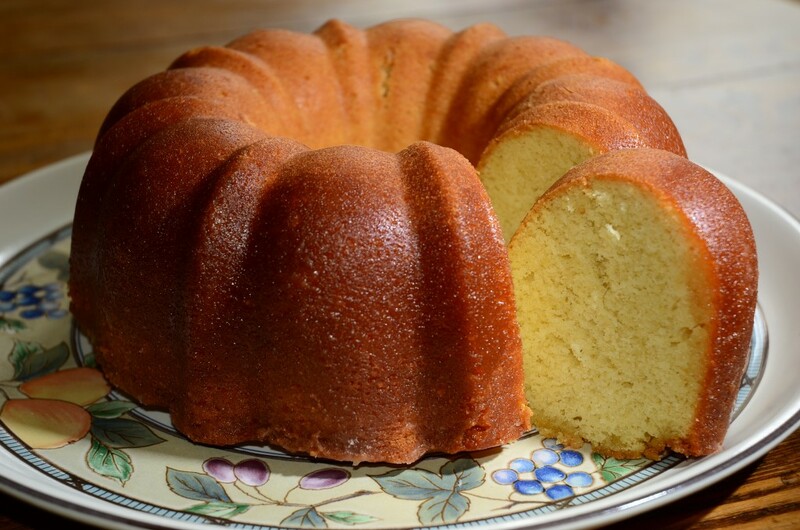 A while later she walked in my office and said to forget making our award winning pound cakes and stick with this recipe! I'd serve it plain or with fresh strawberries or peaches and whipped cream on top. 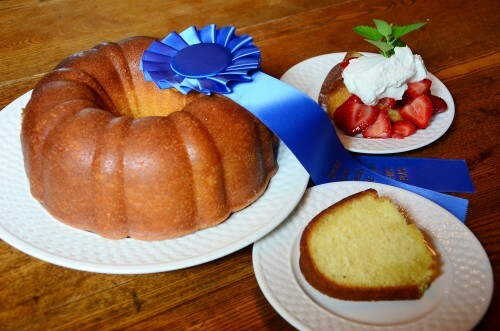 Update: Fall of 2014 I entered this cake in the coffee cake division at our local Great Smoky Mountains Heritage Center Blue Ribbon Country Fair and it won first place. This chocolate girl thinks it is my all time favorite cake..... The only change I made, Julie uses a ¼ C of water and 1 T of rum. I do not like booze in my food, but oddly, I kept increasing the amount of rum, and decreasing the amount of water. You need 5 T of liquid all together, you decide the ratio. Stir together flour, salt, baking powder and soda in a bowl. In a mixer, cream butter and sugar and beat in eggs one at a time using a mixer. Combine buttermilk and vanilla in another bowl. Add flour mixture alternating with buttermilk mixture and beat. Spoon into a well buttered 10” tube pan. Cool in pan on rack for 10 minutes then poke holes with a long toothpick or an ice pick. In a sauce pan, melt 1 stick of butter, then add the 1 cup sugar and water. Cook until sugar dissolves then remove from heat and add rum. Pierce cake and spoon rum mixture over hot cake. Cool completely before inverting to a serving plate.